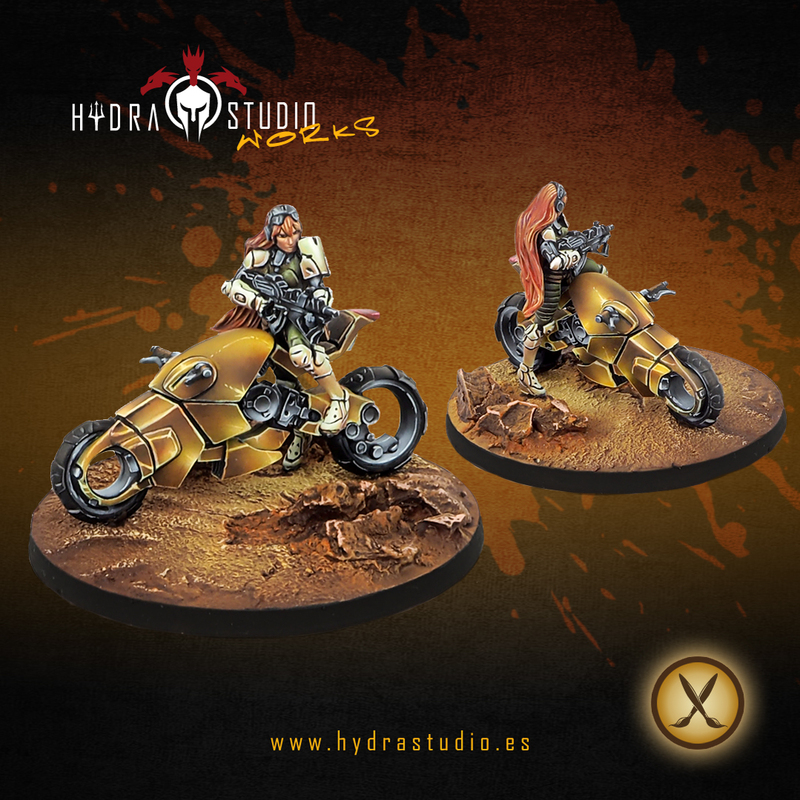 And finally the last one of this batch of 3 Infinity's Haqqislam bikes! This is the twin of the first one, and of course, she fits perfectly with her sister and her friend. Together, they are a perfect speed group. Hope you like them. Wich one do you prefer? As in the previous one, the colour scheme is the same, also, this one is a bit different as she is from another faction, but painted to fit in this one.